Kitchen Creek was flowing hard after heavy spring rains. Can you spot the small tributary in the scene? 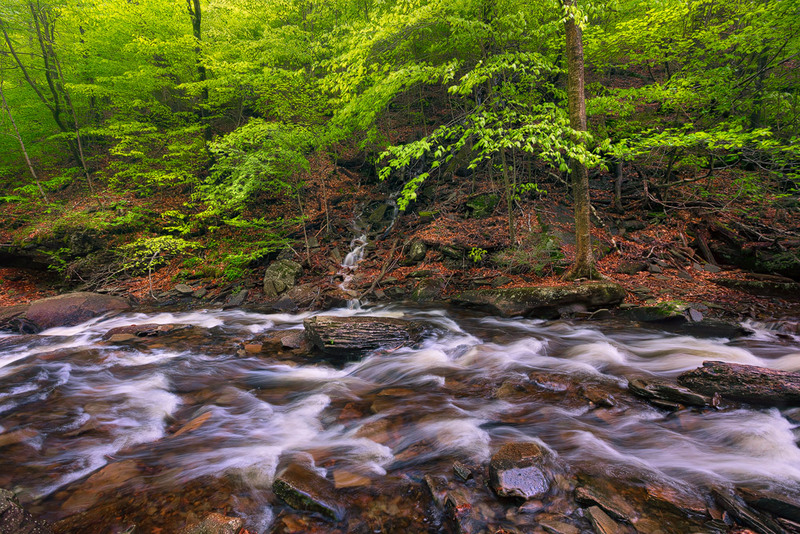 Ricketts Glen State Park is the crown jewel of the PA state park system. It is located in the endless mountains in Northern Pennsylvania. Photo © copyright by Michael Greene.